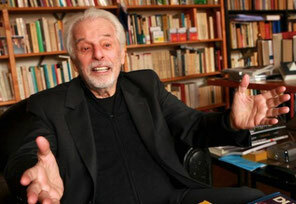 Alejandro Jodorowsky is an extraordinary storyteller. His ‘70s cult films El Topo and The Holy Mountain defy simple characterization; they are wholly experiential. 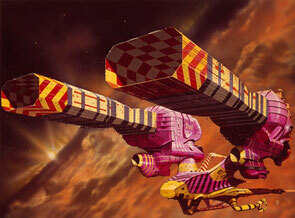 Jodorowsky’s Dune shows us that the director is as well. Listening to him enthusiastically talk through the story of his passion project that never fully materialized is fascinating. Frank Pavich’s documentary captures the madcap, endearing fervor of the director who spins a yarn with amazing gusto, whether it’s discussing things like grand production design or accosting Pink Floyd as they ate Big Macs and seemed disinterested in his soundtrack ideas. Jodorowsky hadn’t read Frank Herbert’s pivotal sci-fi novel Dune when he chose the material for his grand epic. With the help of French Producer Michel Seydoux the rights were obtained and a creative team was assembled. Dan O’Bannon and H.R. Giger (who went on to work on seminal sci-fi/horror film Alien) would handle visual design. Douglass Trumbull, the effects wizard behind 2001: A Space Odyssey, was rejected by Jodorowsky because he was too narcissistic and not spiritual. Salvador Dali agreed to act in the film on the condition he be paid $100,000 an hour. Seydoux did him one better and offered $100,000 per minute of screen time, omitting the fact that Dali’s character would appear for 3-5 minutes. After the brief spat with Pink Floyd, the band agreed to do the score. These anecdotes are interesting in and of themselves, but Jodorowsky’s flailing and inflection dial them up to 11. If you think a story about David Carradine downing a bottle of Vitamin E sounds weird, you’re right, it is. But as told by Jodorowsky, it’s weirdly riveting. In the middle of another story the rambunctious 85-year-old stops to calm his meowing Siamese cat, eventually picking the animal up and then quickly diving back into his tale – also riveting. Pavich’s approach isn’t always as inspired as the documentary’s subject, with many of the principal talking heads speaking their parts. It’s not always visually interesting, but those involved are, and when you have a guy like Jodorowsky all you really have to do is point and shoot. But perhaps a little more time could’ve been devoted to the director’s gigantic, bound storyboard and concept art book that had the entire film mapped out. Some of the best moments in the doc animate the storyboard panels and, in a way, bring the original vision to life. It’s not a huge surprise the film failed to find funding, with Jodorowsky unable to sell his proposed “12 hour, no… 20 hour film,” strongly correcting himself regarding the runtime these 30 years later. Director Nicolas Winding Refn (Drive) saw all the storyboards and was walked through the movie by Jodorowsky himself, and assures us the finished product would’ve been “awesome.” It probably would’ve been, but I’m not sure if that would’ve been in a revelatory kind of way or an exquisite-pop-art-mess kind of way. It certainly could’ve been either, but it wouldn’t have been boring. The slight reservations with Jodorowsky’s Dune come in its confidence that the unmade film was destined to be a classic and, even more pointedly, claims that it directly motivated other works. There’s an extended sequence comparing the concept art with finished products from several features, including Alien (which somewhat uncomfortably suggests O’Bannon and Giger co-opted some ideas), Raiders of the Lost Ark, and Flash Gordon. No direct claims of theft are made, and I suppose that at the very least it proves that Jodorowsky’s vision was innovative and inspirational. And that’s part of the larger point – dreaming big, working tirelessly to put that dream into action and then failing is better than not dreaming at all.